Earth’s magnetic North Pole, not where you think it might be! We all associate the North Pole with the geographic North Pole that we have seen on our globes since we were toddlers. News Flash! The magnetic North Pole is migrating!!! The pole is drifting at such a rapid rate that it could be a problem for smartphones and navigation systems in the near future. 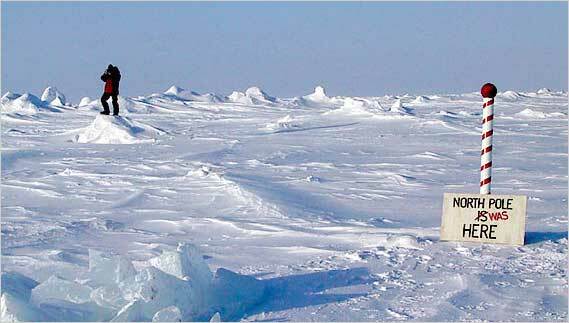 Currently the magnetic North Pole is moving at a rate of 34 miles per year towards Siberia.